When Verlander reaches 200 wins, whether it's Thursday against the Seattle Marinersor on some future date, it will be a milestone worth marking. However, it's not the number that historically turns a lot of heads. That number would be 300, as in the hallowed 300-win club. 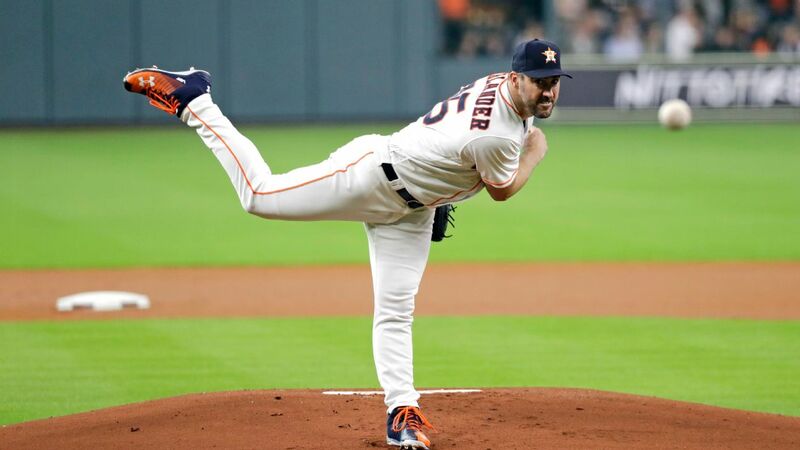 For Verlander, 200 wins will be nice, but it seems clear that the milestone will not bring with it the hoopla that a 300th win would generate. There isn't much we can do about that. We've always viewed 300 wins as the ultimate accomplishment for a pitcher, and it has been awhile since we had a new member of the 300-win club. The last to join was Randy Johnson back on June 4, 2009. There have been no active 300-game winners since Johnson retired after that season. It's becoming one of those old-timey barriers, things players used to do, like win 30 games in a season or hit .400. It doesn't happen anymore. If any active player is going to reach 300 wins, Verlander is the most likely candidate, unless it's Washington's Max Scherzer. The active wins leaders are Texas' Bartolo Colon, who is 45 years old, and the Yankees' CC Sabathia, who is 38. Sabathia is still effective, but he's on a year-to-year basis as far as retirement goes, and unless he can eke out four wins between now and the end of the season, he'll have finished with single-digit W's in four of the past five seasons. In the 2018 Bill James Handbook, Scherzer was given the highest probability of reaching 300 wins, at just 33 percent. He's already at 15 wins this season, so the quest is alive. Verlander was next at 15 percent, followed by Zack Greinke at 14 percent. Everyone else was in single digits or at zero. We all know what has contributed to the slowdown of 300-game winners: Rotations are larger. Teams rely on bullpens more than ever, which leads to fewer starter decisions and more leads blown after a pitcher has left the game. We haven't had a 30-game winner since Denny McLain in 1968. Last year, no pitcher even had 30 decisions. All this makes it worth asking: Is 200 wins the new 300? Many of you, if you've come to the game through the prism of sabermetrics or even if you've gotten into analytics late in the game and thus revised your consideration of old standards, are saying the same thing right now. You're saying that wins don't matter. If you're Brian Kenny of the MLB Network, you're shouting, "Kill the win!" If we're talking about one-season numbers, then yes, I have to agree with you. You have to look no further than Mets ace Jacob deGrom, who must have left his lucky rabbit's foot in Port St. Lucie, Florida, where New York trains in the spring. After throwing six shutout innings Wednesday in a Mets win over Cincinnati, deGrom has a season ERA of 1.77. His record is 6-7. That said, I am still on board with looking at career win totals. A high win total -- such as 200 -- tells you a lot. It tells you that a pitcher has been durable. He has been consistent. And given enough years for the vagaries of the poorly designed win stat to somewhat even out, it tells you roughly how often a pitcher has outperformed his opponent. That isn't to say, even at the career level, that wins should be viewed as a bottom-line metric. There is much noise in the stat. It has always been thus. Pitchers used to pile up so many decisions that it wasn't terribly uncommon for an average or worse pitcher to crack, or at least approach, 200 wins. Journeyman Bobo Newsom won 211 games -- and lost 222. Charlie Hough won 216 and lost 216. Through 1990, 68 pitchers had reached 200 wins. Three of them -- Joe Niekro, Jerry Reuss and Lew Burdette -- had career ERAs that were worse than the averages of the leagues they pitched in. Thirteen others had better-than-average ERAs that were within 0.25 runs of break even. That includes 324-game winner Don Sutton. Now, though, it is highly unlikely that a pitcher would get to 200 wins without being a really good pitcher. Teams simply have found a better way to distribute innings, with a lot of the frames going to power relievers with above-average run-prevention abilities. Colon and Sabathia are the only active pitchers with more than 200 wins, so Verlander will make three. There are only eight active pitchers who have reached 150 wins. All of them have ERAs at least 0.60 runs better than the league average, with one exception: Colon is only 0.26 better. He is, in more ways than one, a throwback to an era that is too recent to be called bygone. As much as the win stat has been maligned -- with good reason -- there are things about it that, if the stat were better designed, would be fantastic. First, if we limited the stat to comparing starters, you'd have a number of advantages already in place. The pitchers are doing the same job, in the same ballpark, on the same day, in the same environmental conditions. What better way could we contextualize the success rate of the starting pitcher matchup over a number of years? Alas, the win stat as we know it is too deeply embedded to be overhauled at this point in baseball history. And because it's designed the way that it is, in today's game, wins are increasingly difficult for a starting pitcherto come by. In a way, though, this only validates the win accomplishments of Colon, Sabathia and Verlander, as it will Greinke, who is at 184 W's. Only the elite of the elite are going to get the innings, and the decisions that come with them, to compile high career win totals. The average pitcher is no longer likely to break into the exclusive clubs. Verlander said this season that he could see himself pitching for another 10 years, so perhaps 300 wins is not out of the question. But even if he doesn't get there, 200 wins or 250, when put in the context of the contemporary game, would be awfully impressive on its own. In many ways, 200 is the new 300. So while we won't be doing backflips over Justin Verlander's next win, that doesn't mean we should lose sight of just how impressive the milestone really is.